This post is sponsored by Walmart Canada as part of the Walmart.ca Grocery Pickup program. In exchange for this post, I have received perks in the form of products and/or compensation. All opinions on this blog are my own. I’m no stranger to online shopping and have ordered my groceries online a few times. One thing, however, which I have never done, is include fresh fruit and vegetables with any order. As a mom, the question that always plays in the back of my mind is ‘how could someone else pick the best and freshest products for my family?’ This is a scenario that many moms experience. Starting February 21, 2017 Walmart.ca Grocery Pickup is launching in Edmonton! With a minimum order of $50, this option allows you to place your grocery order online at Walmart.ca or through the Walmart.ca App, and pick up your grocery items within a scheduled two-hour timeframe. With pick up times available seven days a week starting at 8 a.m. and the same day option with pick up after 4 p.m. no matter what time you choose, the fee is just $3. Recently, I had the chance to tour the South Edmonton Common Walmart Supercentre and get the lowdown on how the new Walmart.ca Grocery Pickup service works. I also had the opportunity to talk with some of the Walmart employees working on the Walmart.ca Grocery Pickup team about the intense training the employees go through to make sure you’re getting the best products. I can honestly say that this has made me much more confident in placing my entire grocery order online and here’s why. Would I buy it for my family? Throughout their training, grocery experts learn to pick produce that they would pick for themselves or their family. 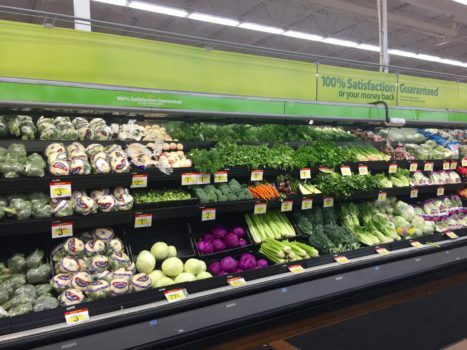 They know moms might be hesitant to order their groceries online and are aware of how important it is for Walmart to pick the best items, which totally puts my fears aside and makes me that much more confident in the whole process. Walmart Supercentres carry Canadian No. 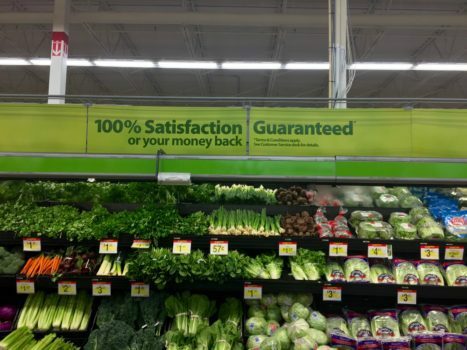 1 grade fruits and vegetables, expanded large selection of organic produce as well as 100% Angus beef, chicken, pork and salmon and all fresh grocery items are backed by a 100% satisfaction or your money back guarantee. Shopping for groceries just got a whole lot more convenient. In the next couple of weeks, I’m going to try Walmart.ca Grocery Pickup myself to show you just how easy the process is from start to finish and I encourage you to check it out too. Save $10 on your first order. 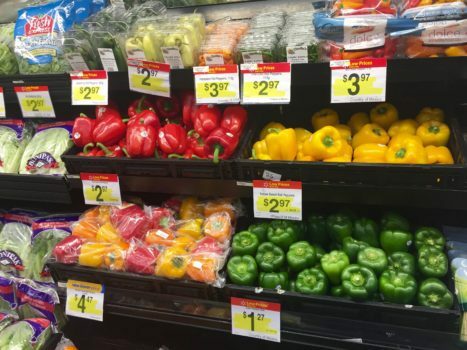 Who doesn’t love to save money on groceries? When you log into your account and enter the promo code SAVETIME you will save $10 off of your purchase at the checkout! The promo code is valid until March 31, 2017, giving you plenty of time to use it!